Once working class and full of little shops and markets, today the Navigli have become one of the most fashionable areas in Milan, frequented by models, artists, musicians and college students. The atmosphere is European and cosmopolitan: some views of the Naviglio Grande, and the walks on the docks and piers, recall Amsterdam and Stockholm. Every evening, along the Naviglio Grande, Milan's best nightlife spot comes alive. If you are looking for a restaurant for dinner or a bar for an after-dinner drink or happy hour, you'll be spoiled for choice on the Navigli. The Naviglio Grande winds through Ripa di Porta Ticinese and Alzaia Naviglio Grande: it is always full of life, with music and people until the wee hours. And yet, just around the corner, away from the chaos, you can catch a glimpse of the old Milan. Behind the glittering lights of the bars and clubs peek Milan's typical balustrade-houses, with rich, green courtyards. Among the most appealing spots, we recommend Vicolo dei Lavandai, hidden in a cleft of the Naviglio Grande. For the romantics, we suggest Via Argelati, a real Amsterdam in miniature - to see in the moonlight. In Ripa di Porta Ticinese, one of New York Times 12 favorite roads of Europe, the atmosphere is enchanting, especially around sunset: enjoy it in one of the many bars, while sipping a cocktail and watching as the sun paints the sky pink. 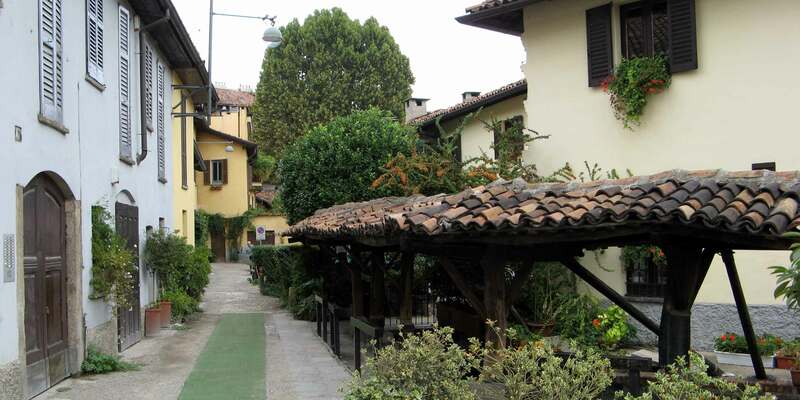 Walk along Via Binda, towards Via Pestalozzi, until you reach Ripa di Porta Ticinese.